Hofmann pleads for "buying back" the Warburg Institute's library ("die Londoner Bibliothek zurückzukaufen" - I'm not sure whether to interpret this as him saying that he's interested only in the pre-transferral collection), and using it for a (new?) non-universitarian institution dedicated to "Bildwissenschaft" (some sort of history of art) making use of works of art housed in Hamburg museums. Nothing in that text about "the study of the classical tradition", nothing about the study of thought, literature, institutions; nothing about the Warburg Institute's staff; nothing about the fellowships, post-1933 donations ... .
Außerdem appellierte er an die Stadt Hamburg, die in der Nazi-Zeit nach Großbritannien gebrachte Warburg-Bibliothek wieder zurückzukaufen. Once again: "buying back" ("zurückzukaufen") - as if that library had ever been property of the Freie und Hansestadt Hamburg. - And: Once again: no mention of the Warburg Institute, its mission, its staff, &c.
Found thanks to http://www.zeit.de/wissen/2011-02/aby-warburg?page=2 - which, iun turn, I found thanks to Gábor Endrődi's https://twitter.com/#!/1100sor/status/34803767937339393 . Heinrich Kuhn notes an odd call by Günter Grass for Hamburg to buy up the Wartburg Institute's library. Not sure quite what to make of this. Does anybody know what happened regarding this? Ucl seem to have backed down, but no public statement has been made by nobody, as far as I can gather. I wonder what changed their mind, since I don't believe it was Günter Grass alone. Their "Strategic plan" goes up to 2014 (http://warburg.sas.ac.uk/home/aboutthewarburginstitute/strategic-plan/ pointing to http://warburg.sas.ac.uk/uploads/media/WI_Strategy_2011_14.pdf ). I guess it's "wait and see". Not bad. But not really good either. NEWS: Salvata la biblioteca del Warburg Institute di Londra. La biblioteca del Warburg Institute di Londra non sarà separata dal Warburg Institute, uno dei più importanti centri di ricerca al mondo sul Rinascimento. Il progetto di ristrutturazione prevedeva di svuotare lo storico edificio di Woburn Square dagli oltre 350.000 volumi e destinarlo ad attività più redditizie. I libri sarebbero confluiti nella biblioteca di Senate House, perdendo in tal modo il caratteristico ordine con cui sono distribuiti sugli scaffali, noto come “la legge del buon vicinato”. Secondo il suo fondatore, Aby Warburg, i libri non vanno infatti organizzati in sequenze alfabetiche o cronologiche, ma in base agli ambiti culturali e tematici. L’annuncio è stato dato dal direttore dell’istituto, Peter Mack. ha resistito a un progetto di ristrutturazione delle scuole di specializzazione per ridurre i costi di gestione. I vertici dell'Università di Londra avrebbero voluto recuperare lo storico edificio di Woburn Square, che ospita gli oltre trecentocinquantamila volumi della biblioteca, per destinarlo ad attività più redditizie. La biblioteca e l'Istituto sono una cosa sola, come è detto con chiarezza nell'accordo che la famiglia Warburg firmò con l'Università di Londra quando nel 1944 decise di cedere il suo straordinario patrimonio librario. E noi ci batteremo per mantenere questo principio a qualsiasi costo». dirigere questa biblioteca, come fa oggi la nostra collega Jill Kraye, presuppone una conoscenza dei campi di ricerca per continuare a collocare i libri secondo il disegno originario. http://www.miniaturaitaliana.com/blog/?p=30508 seen thanks to https://plus.google.com/101279375437817078878/posts/QT6hX8Bde22 . Four years after Warburg’s death, the collection of about 80,000 books, many rare Renaissance volumes, was moved to London as Nazism took hold in 1930s Germany. However, the University of London is now seeking to challenge the status of the deed of trust it signed in 1944 when accepting the collection. That document promised to maintain and preserve the collection “in perpetuity” as “an independent unit” – a pledge that now appears onerous as the Warburg runs a reported £500,000 annual deficit. I have no idea what the claim that "the Warburg runs a reported £500,000 annual deficit" might mean. It costs money to run research institutions, institutions of higher education, libraries. I am aware of the fiction that (some) UK institutions of higher education are expected to recover part of the money it costs to run them via fees paid by their students. But to use "deficit" for money paid to a research institution, institution of higher education, library: to me this sounds strange. Representatives for both the university and the Warburg Institute were due to appear in a court in London’s Rolls Building this week after efforts to negotiate a compromise over the past five years have failed. Past tense: "were due to appear". But no reports about what was said (and/or done) there. Nor any information on what each side offered as a compromise. A judgment on the validity of the 1944 deed, which is barely more than a page long, is expected in the autumn. If the university were to succeed, many Warburg supporters fear that the institute’s volumes would be divided up among Senate House Library shelves. If that should happen: it would end the existence of the Warburg institute as the library centred institution it always was and is. Further, there is speculation that a court defeat would mean that the collection would return to Hamburg where much of the Warburg family is still based. The US-based branch of the Warburg family are also known to have taken a keen interest in the case. A) There is no source given for this "speculation". B) Is this about the "original" 80000 books, or about the ca. 350000 the library holds now? D) How would that "collection" be put to use in Hamburg? E) What about he Warburg institute's staff (and students)? A university spokesman said that the Attorney General, who has been asked to resolve the Warburg dispute, has “indicated that a court hearing is his preferred course of action”. “The university respects this view” and looks “forward to the court providing clarity”, he added, saying it could not comment on “an immensely complex set of legal arguments in advance of any judgment”. Does this translate as "roll the dice!" (or its Latin or Greek equivalent(s))? Peter Mack, the Warburg’s director, declined to comment, as did the institute’s legal counsel. On the one side: I do understand this: When in court talk to the court and to the parties and representatives present there, don't talk to the press: the forum a court is is better kept a bit at distance from the forum that public opinion (including the press) is. On the other side: At least in some parts of the world not everything that is brought to court must also be settled in court. And telling about your "plan A" and your "plan B" and musing about a possible "plan C" can pave roads to such a solution out of court. dissolution of the Warburg library and the Warburg institute. dissolution of the Warburg library but keeping the Warburg institute as a research institute. having (parts of) the library intact in place A and having the institute (also as intact as possible without the library) in place B.
Delivering University of London of that GBP 500000 p.a. burden (that's something like 625000 €, IMO not really much for library acquisitions plus some 8 librarians plus 2 archivists plus at last two professors and at least one lecturer (not counting staff probably not "burdening" UoL's budget) and transferring both the library and the institute to some other place. Suitable places would need at least one library with really major holdings of oldish stuff and major holdings of newer stuff in the fields the Warburg is interested in. Such places coming to my mind are (in alphabetical order) Munich, Paris, Rome, Washington. Cambridge might be an option too. And I don't know enough about the holdings in Princeton and Harvard. Most probably more than one of the universities existing in these places might be willing to act as hosts for the Warburg. But I am less than certain that they would be able to grant the Warburg the degree of independence it has (had) at UoL. And housing an institution of the size of the Warburg near the major library of the town is not easy either - unless you already have the building available. That much from me today. The University issued proceedings to seek clarification from the High Court of what the trust comprises, what its obligations as trustee are, and whether its conduct (including in relation to the Institute’s finances and funding) is and has been in accordance with the provisions of the Trust Deed. A long and complicated sentence. I have no idea how often the High Court hears such cases. The 10 day trial of the matter, between the University of London, HM Attorney General and the Advisory Council of the Warburg Institute, concluded in London last week. The parties are now awaiting judgment, sometime in the autumn. A 10 days trial. Obviously my understanding that the trust deed is a rather simple text was and is completely wrong. The Advisory Council of the Warburg Institute is very grateful for the immense support it has received and continues to receive related to this matter. However, respecting entirely the Court process, it does not consider it appropriate to make any comment at this time, save where considered necessary to correct any misinformation published. The Advisory Council was concerned to read the article by Nick Clark of The Independent published on 25 June (24 June online), which contained several inaccuracies. 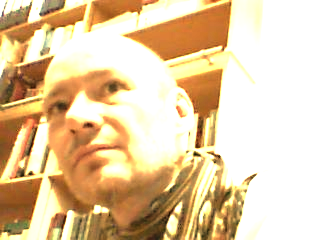 In particular, it is not correct that the Warburg wants “the collection” to be entirely independent and to be free to move it should it so desire, or that the Advisory Council wants to change the way in which the library is arranged including the loss of the Institute’s “open stack” arrangements, which are of course at the very heart of the Institute. The article mentioned here is most probably the one available at http://www.independent.co.uk/arts-entertainment/books/news/high-court-to-decide- the-fate-of-the-warburg-institutes-historic-library-9560670.html?origin=internalSearch . To be clear, the Advisory Council simply wants the terms of the trust deed respected and adhered to, which includes preserving the Institute and its unique, world class library. http://warburg.sas.ac.uk/index.php?id=838 seen thanks to https://twitter.com/AlexRALee/status/481797029396766720 . Now there is: Maev Kennedy: Academics fear for Warburg Institute's London library, saved from the Nazis (2014-08-10). Members of the Warburg family are understood to have indicated that they would be happy to return the collection to Germany, or transfer it to the US, in order to preserve its independence. The Warburg is believed to be running at a substantial deficit, which critics believe is largely because the university increased the buildings charge for its premises some years ago. The university, in a brief statement, defended its record and said that it had no intention of breaking up the collection. "The University of London has at no point recommended that the Warburg Institute's unique collection be absorbed into Senate House Library. "Under the university's management over the past 70 years, the Warburg collection has grown substantially from the original 80,000 volumes to the 350,000 in the collection today. The last thing that the university wants is for this exceptional cultural resource to be merged or absorbed elsewhere. We await the decision of the court in due course." But the university is now picking and poking at the wonderful gift it was given, most recently by trying to clarify in court the terms of the deed, which have not presented any difficulties of understanding up till now. The trouble is of course financial. Changes to the university system have deprived the central University of London of much of its former power and wealth. What’s left are the buildings in central London, and these would certainly be more valuable if they were not in the grip of scholars and art historians. The funding crisis in higher education has been a grim siege that has continued for years and years. Expedients once unthinkable are now considered as matters of fact. In a city under siege the animals in the zoo stop being exotic or beautiful, and turn into awkwardly ambulant steaks. The Warburg has had its service charges raised by the university to the point where it faces financial extinction. The aim appears to be the reduction of the library to the books that it contains, which would then be merged into the rest of the university’s system. The university denies that this is under consideration, or ever has been, but it is difficult to understand why else it has decided that the wartime deed needs to be tested in court. If it is happy to follow the plain directions of the deed, why ask for another interpretation? The best solution would be for the Warburg Institute to stay as it is and where it is. But if the University of London cannot fulfil its trust, it would be best for the library to return to Germany. Seen thanks to https://twitter.com/ucylpay/status/498704978488201216 via Lsa Jardine on Twitter. Begoña Cayuela Vellido pointed me on G+ to: Martin Kemp : A betrayal of trust? The Warburg Library under threat (2014-08-08). The terms of the trust deed seem unambiguous, but the University has been questioning its obligations. Its first move was to levy a huge increase in the sum the Warburg is charged for the building, which now consumes 60 per cent of its annual grant. According to a complex formula that is typical of institutional accounting, the Institute currently receives an annually variable sum in compensation for part of the charge. The Institute’s recent annual deficits range from £125,000 to almost £420,000, effectively ensuring financial ruin. The University argues that it is not charging rent but imposing a building-specific service charge across its estate. We await the results of a 10-day trial held in June, involving the University of London, the Attorney General and the Advisory Council of the Warburg Institute. The basic issue is, of course, cost and income-generation. The University, which lost a significant part of its business with the independence of Imperial College, appears to be cutting back on its remaining obligations. But there are costs other than those identifiable on an accountant’s sour balance sheet. The cost of losing the Institute as presently constituted cannot be calculated in pounds. The international disgrace cannot be estimated in cash. The current exhibition in the library is devoted to ‘Laughter’. The only way for this not to be followed by weeping is for the University and all interested parties to promote the establishing of a long-term endowment that will prevent the greatest act of vandalism in Western academia of my lifetime. I rather like the "not ... rent" but "building-specific service charge" bit of Newspeak. Begoña Cayuela Vellido pointed me on G+ to Graham Whitaker & Michael Rosenthal: Safeguarding Warburg’s cultural treasure (2014-08-14). Mr. Grafton said he had been told that the university had proposed that the institute save money by closing its stacks, a move he said would radically disfigure its character. Asked if the university had proposed that the Warburg close its open stacks, Ms. Boylan said the university had no comment. Even if the library stays intact, cuts to British state university funding are certain to affect the institute, which has a staff of 24 and lacks its own long-term endowment. In 2012-13, the last year for which there are audited figures, the university provided 1.8 million pounds (about $2.9 million) of the Warburg’s £2.8 million ($4.5 million) in funding, in addition to covering the £250,000 operating deficit on a £3 million operating budget. Seen thanks to Richard Blum on G+. To the benefit and relief of scholars worldwide, the High Court has rejected the University of London’s claims that all additions to the Warburg Institute since 1944 belong to the University, and instead agreed that they form part of the Institute. Furthermore, the judge, Mrs Justice Proudman, held that the University is obliged to provide funding for the activities of the Warburg Institute. In recent years the University had charged a proportion of its total estate expenditure to the Warburg Institute, meaning that the once solvent Institute was left with a significant deficit as it was used, in effect, to subsidise the University’s corporate property. The judge held that the University’s conduct in this regard is not permissible and “flies in the face” of the terms of Trust Deed. The judge also clarified the important role of the University in relation to housing the Warburg Institute: whilst the University continues to own the building at Woburn Square, it has a binding obligation to house the Institute in a suitable building close to the University centre in Bloomsbury. Despite the judge’s clear ruling, following a very detailed review of the evidence, the University has decided to seek permission to appeal. Seen thanks to Germaine Warkentin on the FICINO email distribution list. Both the University of London and the Warburg Institute are claiming success in a long-running legal battle over the institute’s independence after a High Court ruling was published. The university says the “space charge” – which it says rose from about £278,000 in 2006-07 to £643,000 in 2007-08 - is line with normal full-economic cost principles used by other universities. In a judgment published on 6 November, Mrs Justice Proudman finds “the levying of space charges…is not, to my mind, permissible”. The “UOL only has a right to be indemnified in respect of the actual, properly incurred expenditure on the Institute…not in respect of UOL’s costs on its other property”. “The imposition of university-wide space charges flies in the face of this provision as it merely treats the Institute as a constituent part of UOL without regard to its special character or its position as an independent unit,” the judgment continues. However, she gave the university leave to appeal four separate parts of her decision. It has three months to consult its trustee and decide whether it wishes to take the case, which it says has already cost the university “hundreds of thousands of pounds”, to the Court of Appeal. However, the university claimed the “judge has found in favour of the university on almost every point that was of importance to us”. These points include noting that the block grant funding from the Higher Education Funding Council for England belongs to the university, not to the Warburg, and that its governance arrangements are in line with the 1944 trust deed. “We are also aware of rumours that there were other interested parties wanting to move some or all of the collection to Hamburg or New York”, he said, adding that “today’s ruling will ensure that we keep the collection in the university here in London”. almost every point that was of importance to us. * The University’s ownership of the building that houses the Warburg Institute. * The University’s internal governance arrangements that apply to the Warburg Institute ( which are the same as those applied to all the Institutes of the School of Advanced Study ), are in line with the 1944 Trust Deed. * That there is in general no unacceptable conflict of interest for the University in managing the Warburg, since this is what the founders of the Institute envisaged in the Trust Deed , although she has criticised the use of our estate - wide service charge. The University’s position throughout has been that this case should nev er have been brought to court. The financial and opportunity cost to us has been serious. We look forward to enabling the Warburg Institute to recover its role in humanities scholarship under new leadership. The University and the Advisory Council are in the process of making an appointment of the Warburg’s next Director . At http://warburg.sas.ac.uk/home/news/open-letter/ there is an open letter by Margaret M. McGowan (Chair, Warburg Institute Advisory Council) to Richard Dearlove (Chair of the Board of Trustees, University of London), dated 2014-11-19. The way I read it: the letter suggests to settle any remaining disputes between the Warburg Institute and University of London out of court. I have no idea why they did go for an open letter, ad as the text is rather verbose, I assume I will have overlooked or misinterpreted at least part of its contents. Seen thanks to François Quiviger on the FICINO email distribution list. Their letter invites the University not to submit an appeal, but rather to seek mediation in order to agree the best course of action for implementing the judgment recently handed down (http://warburg.sas.ac.uk/home/news/high-court-ruling/ ). Practically speaking, mediation is a much more cost effective, and in the spirit of partnership, the letter sets a positive tone for moving forward. Following the court's ruling on the interpretation of the 1944 Trust Deed, the University of London and the Advisory Council of the Warburg Institute are pleased to announce that they have, through mediation, reached a binding agreement on the future management of the Warburg Institute. We are very pleased that this outcome means that we can now draw a line under past disagreement and look to the future. Following the court’s ruling on the interpretation of the 1944 Trust Deed, the University of London and the Advisory Council of the Warburg Institute are pleased to announce that they have, through mediation, reached a binding agreement on the future management of the Warburg Institute. We are very pleased that this outcome means that we can now draw a line under past disagreement and look to the future. I hope this is good news. I wonder: what is in this agreement? and why isn't it made public? and why conclude this agreement now, in a situation when the post of the director of the Warburg Institute is still vacant? shouldn't the director have had a say on this?